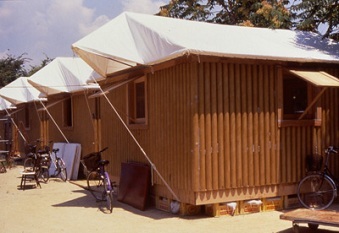 While preparing an exhibition, Shigeru Ban realized the solidity of the cardboard paper tubes, material that has also the advantage of being recyclable and low cost. He had then, the idea of developing his expertise on a foundation of cardboard. It was thus that this Consultant to the Council of the United Nations for refugees became an innovator in emergency architecture. He then began building shelters for catastrophe victims in his country, Japan, but also all over the world. His innovations have led him to world fame and many rewards. Congratulations to this Future Shaper! Go and see how a bridge made out of cardboard has been built!